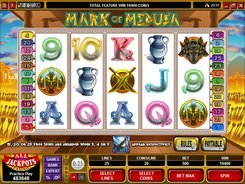 You are about to immerse into a dinosaur’s era delivered to you by a team of creative designers from Microgaming. 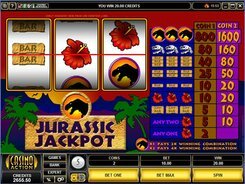 Offering 3 reels and a single payline, Jurassic Jackpot brings a unique twist to a traditional Vegas-style layout. You have an option to place one or two coins per line, and select a coin value in a range of $0.25 to $5. 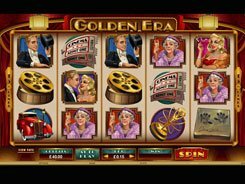 On the reels you will see a red flower, bar variants, a dinosaur skull and a sign that looks like Steven Spielberg’s iconic logo from Jurassic Park. The only bonus feature in the game is a wild symbol represented by that logo. One wild doubles payouts for a combo it helps complete. 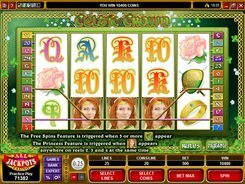 Two wilds multiply payouts by 4. 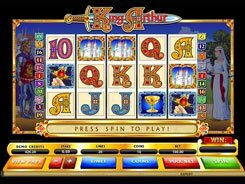 And if you are lucky enough to collect 3 wilds on the payline, you are awarded x1600 times your bet. 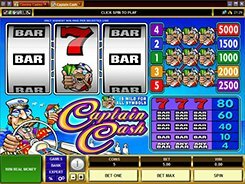 So if you have bet 2 coins and hit a “hat-trick” of wilds across the payline, you may get a $8000 win! 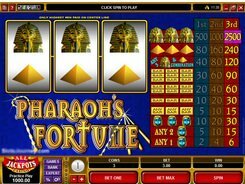 Like many three-reel slot machines, this one is particularly suited to gamblers looking for a simple gameplay with no gimmicks.